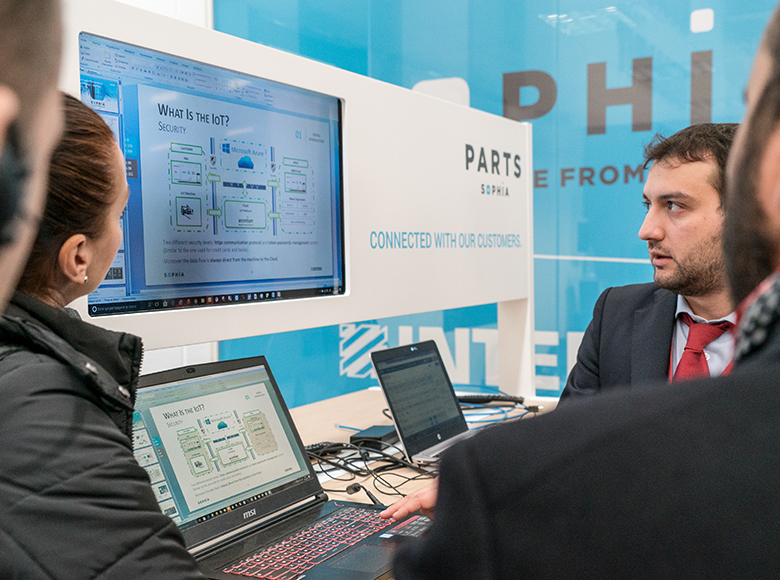 Intermac presented 4.0 ready solutions to convert our clients' factories into veritable "smart factories" at Blechexpo 2017, a trade show dedicated to the metal industry in Stuttgart. 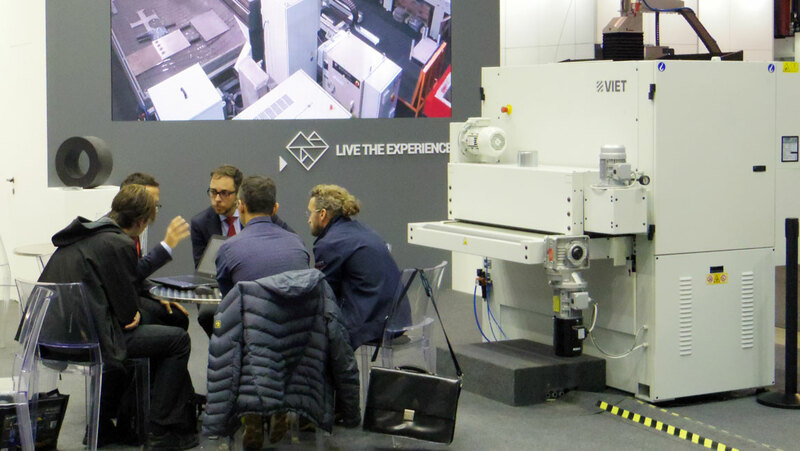 After the success encountered at the latest edition of Lamiera, enthusiasm over the waterjet technology of the Primus range was confirmed with the German public showing a high level of interest. The Waterjet is a machining operation capable of cutting all metallic and non-metallic materials by using a high-speed jet of water mixed with an natural sand abrasive at pressures of more than 400 MPa and can optimise productivity and the cost of machining operations. Waterjet technology installed on the Primus Series range includes the 5-axis Primus 402 version featuring Jet Performance Control, which maximises the efficiency of the machining operation in terms of cutting speed and of the quality of the edge. 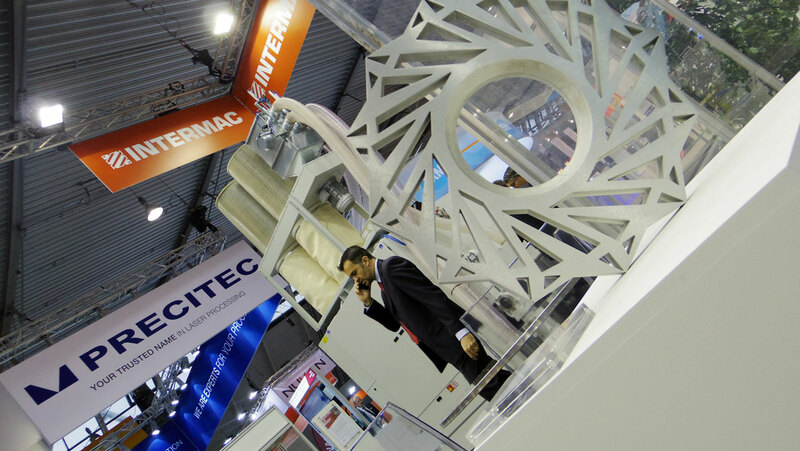 Alessio Pedoni, Waterjet Business Sales Manager, presented the strengths of the machine “The Primus waterjet is a veritable jewel of technology made in Intermac. It drastically reduces the time needed for centring the head thanks to a control system dedicated to the operation”. 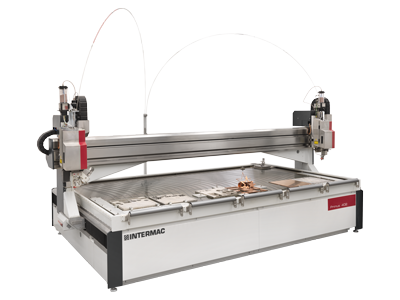 The Primus waterjet is a veritable jewel of technology made in Intermac. It drastically reduces the time needed for centring the head thanks to a control system dedicated to the operation. The outcome of Intermac's participation in the event held at the Stuttgart Messe trade show area was very positive. 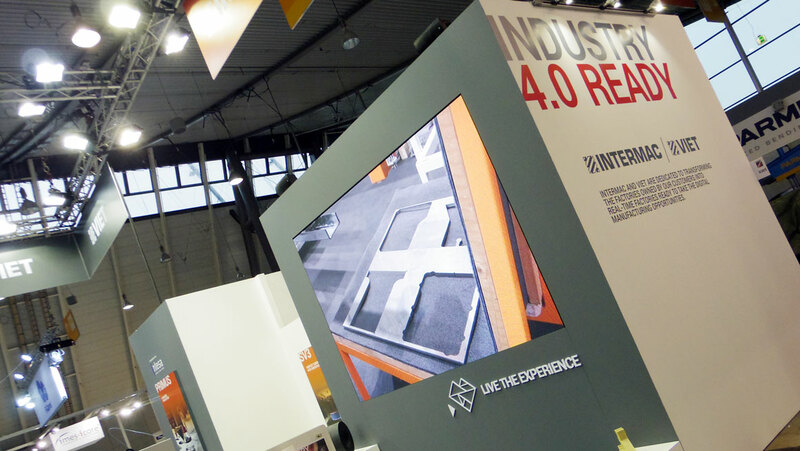 Intermac has participated in Blechexpo since 2013 and interest in Intermac technology has grown exponentially, as confirmed by the steady flow of visitors who were welcomed by staff members, including new personnel specialised in the sector as well as completely new graphics. “The Intermac solutions presented for the metalworking industry” Alessio Pedoni continued “are extremely versatile and can be used for a variety of applications, including: metal, stone, marble, glass, advanced materials and plastic; they are, therefore, perfect both for the artisan and for large-scale industries”. The next event to feature the latest made in Intermac creations dedicated to the metal industry will be SteelFab, to be held in Dubai from 15 to 18 January, 2018. Following the success of the last year, Intermac comes back from 15th to 18th of January 2018 at Steelfab, the trade show in Sharjah, Middle East, dedicated to professionals of metal sector. Intermac made its presence strongly felt in North America with Inside events that spanned the entire continent the past two weeks.